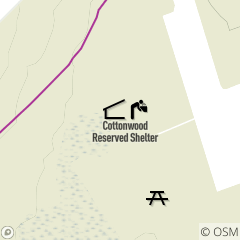 Cottonwood Reserved Shelter is located on Valley Parkway in Rocky River Reservation, south of Puritas Road/Mastick Road in Fairview Park. Open-sided shelter, picnic tables, grills, non-flush restrooms, electric outlets, water (available May through October, weather permitting), ball field and play field. Availability: Reservable May through October daily. For reservations or more information, call 216-635-3304, Monday through Friday, 8:30 a.m. to 4:30 p.m.